Walking Blinded with the "eye"
There has been increasing number of visually impaired people becoming immobile due to their physical conditions. We aim to help them move more free with modern technology. 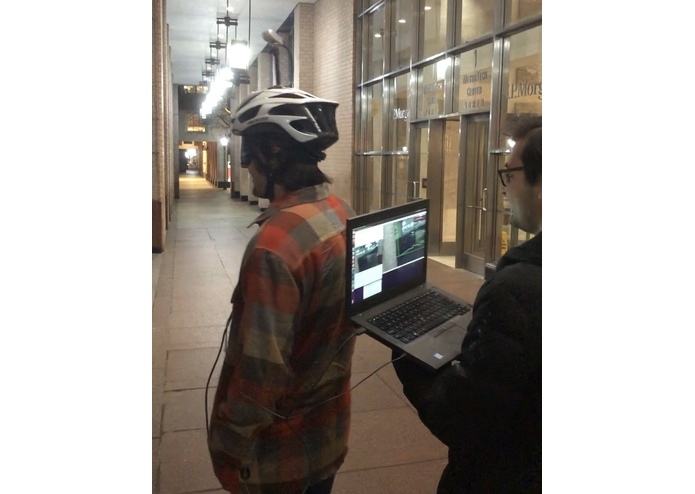 It uses Intel Realsense Depth Camera to reconstruct a 3D image of the surrounding and Yolo v3 object detection algorithm to give user open space walking suggestions and the distance to surrounding objects(or potential obstacles) that could run into. 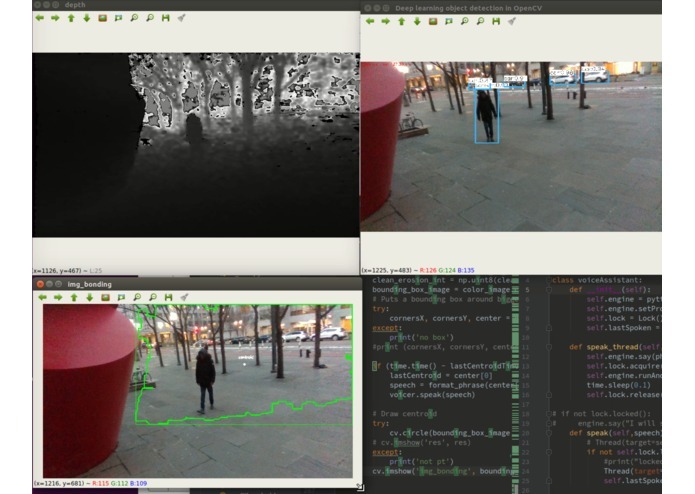 We uses the OpenCV library with Yolo V3 object detection algorithm to get both labeling information as well as distance information in 3D space. How to accurately detect and do neural network inference in reasonable time. How to convey concise information within reasonable amount time and still keep a good information flow. 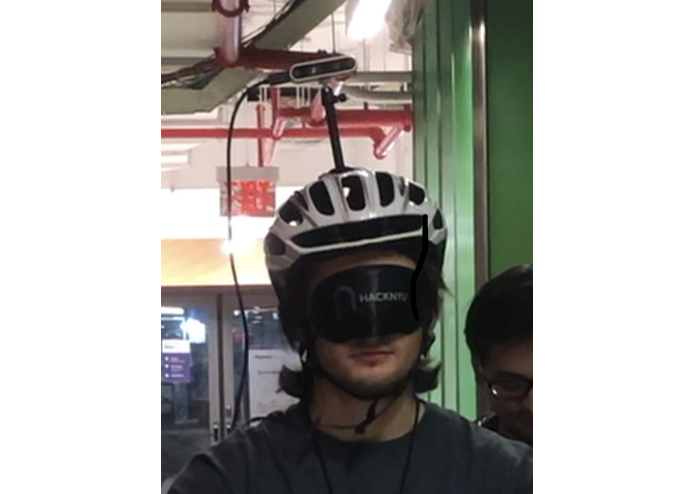 With the technology we have, we were able to let several team members walk blind-folded in the hallway of the hackathon. The results are pretty good. 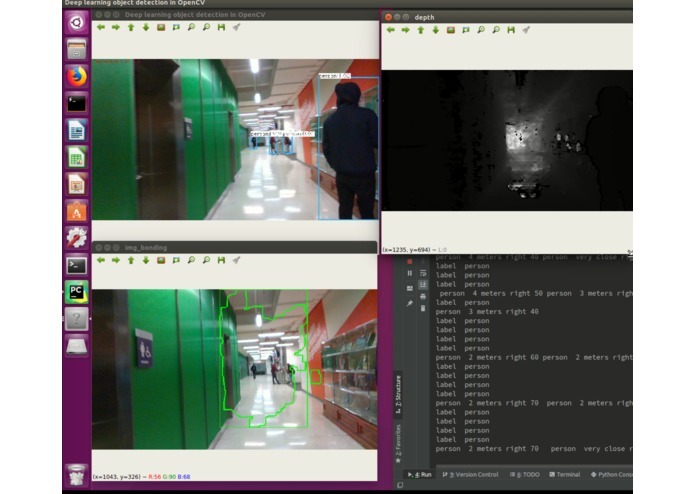 How to use OpenCV library for DNN Object Detection, how to extract information from depth image. Make the model more accurate and make the information flow more efficient.